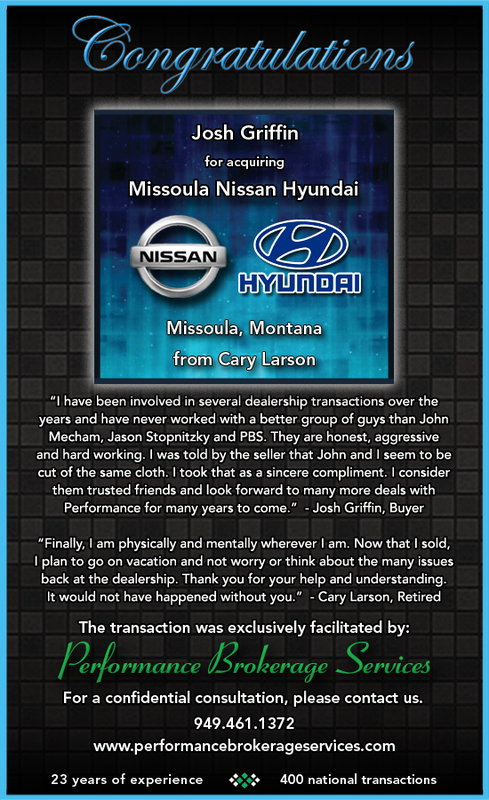 Mr. Josh Griffin of JAG recently purchased Missoula Nissan and Hyundai from Mr. Car Larson. We thank both clients for the opportunity to represent them in this transaction. This transaction was exclusively facilitated by Performance Brokerage Services.